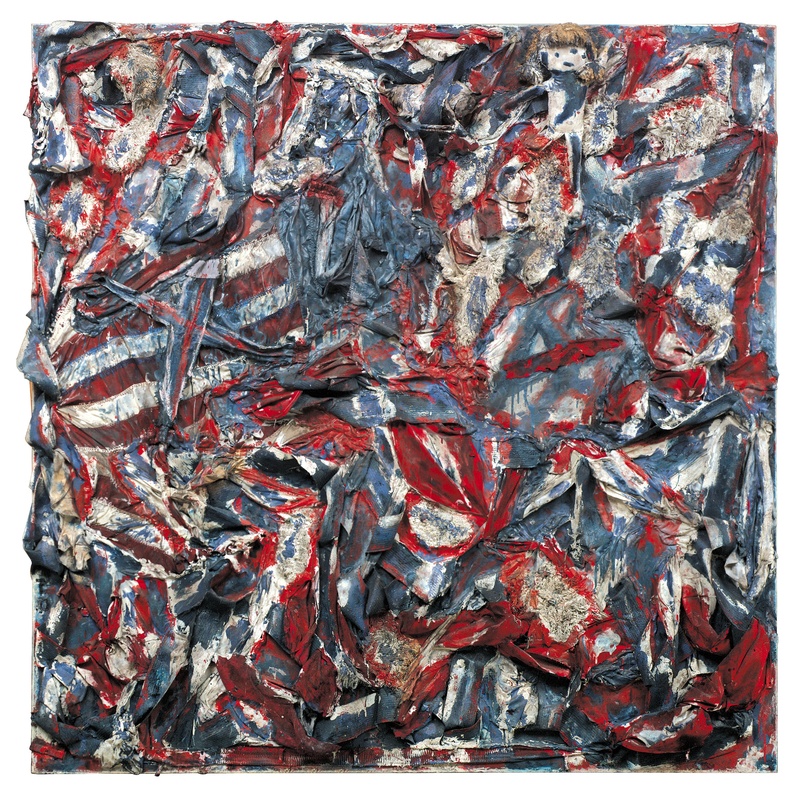 Royal Flag, Dial's variation on the flag of the United Kingdom, is a stalking horse for Dial's vision of his own country The red, white, and blue "royal flag"is actually a tattered, quiltlike mass of old clothes ("dirty laundry"), bedcovers, and shreds of an American flag. A roped-up bull (Prince Charles? The media?) tries to gore the golden-haired rag doll matador princess. We might pity this vulnerable little doll, but isn't it the bull that defines the matador in the first place?